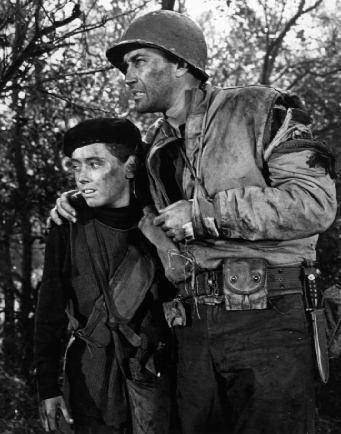 In "The Volunteer," written by Gene Levitt, a young French orphan tries to join the squad as a soldier, but ultimately finds the game of war not to his liking. Serge Prieur plays thirteen-year-old Gilbert Barole with angelic earnestness. A strikingly beautiful young boy with soulful eyes, Prieur conveys the hopes, fears, and desires of a boy left alone in the world--all without speaking a word of English. Robert Altman directed and produced this engaging story. The episode has all the visual hallmarks of the Altman Combat! style: cluttered foregrounds, hand-held camera work, a lot of play with sunlight and shadow, excruciating close-ups, scenes obscured by dust and smoke. 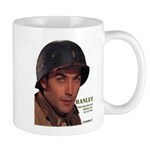 It's interesting watching "The Volunteer" back-to-back with "Survival," also directed by Altman. Directorially, "The Volunteer" is a dry-run for "Survival". The sharp-eyed viewer will note many filming locations repeated from one episode to the next. Prieur in "The Volunteer" and Morrow in "Survival" travel the same roads, climb the same hills. Prieur wanders through charred woods that are still smoking after a barrage. A week later Saunders finds his "brother" in the same charred forest (freshly smoking). But more than just locations, Altman repeats camera shots between the two episodes: closeups of shadows of running feet, dappled sunlight streaming through overhanging trees, the same spinning point-of-view as both Morrow and Prieuer run through the woods. Rick Jason has some wonderful moments as Lt. Hanley in this episode. 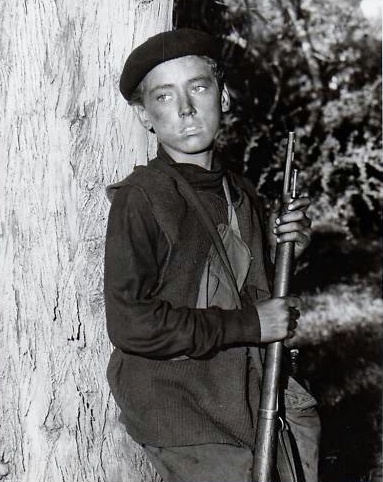 His relationship with his "volunteer" are delightful as Jason alternately treats this boy with sympathy, frustration, anger, and finally desperation as he must entrust the lives of the advance force of the American army into the hands of a child. Hanley doesn't get to behave often as an officer in the series, Usually we see that side of him in brief flashes, and less of that as the series progressed. But in this episode (when he's not copping a feel on the streets of the village), he's definitely the officer struggling to keep his men alive and accomplish his mission, even after being seriously wounded. The ending is a bit pat, but effective. Why do they use a slightly different version of the opening theme music? Saunders takes up the rear in all the marches in this episode. Ten Germans encounter Prieur in the woods, but this patrol has twelve men when they take the village. Did they meet some replacements en route? Would have liked Hanley to react in some way to hearing the kid's name. "You're Gilbert Barole? Gil? That's my name, too, kid. And Barole is the name of my old college roommate who also lives in France. You any relation?" You think that's it? You think they've stopped? They're not gonna stop 'til we're all dead. Web site � copyright 1995 - 2011 by Jo Davidsmeyer. All rights reserved. Combat! is owned by ABC Television and distributed in the US by Paramount Pictures. It is not our intention to infringe on the copyrights of the creators of Combat! 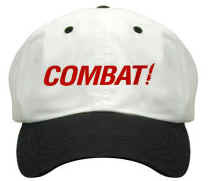 This web page is meant for the free enjoyment of Combat! fans everywhere. Unless otherwise noted, materials Copyright Jo Davidsmeyer. All rights reserved. Photographs from the TV series copyright ABC-TV.